Native Women in Film is a Resource for Native Women’s Rights, is dedicated to promoting equal opportunities for American Indian & Indigenous women, encouraging the creative narrative by native women, exploring and empowering portrayals of women in all forms of global media, expanding empowerment initiatives for native women and girls, in the arts, media, social justice, civic engagement, economic empowerment, research, training and international relations, NWIF serves under its fiscal partner American Indian & Indigenous Arts & Culture non-profit organization Red Nation Celebration Institute (RNCI). Native Women in Film & Television is dedicated to promoting equal opportunities for American Indian & Indigenous women, encouraging the creative narrative by native women, exploring and empowering portrayals of women in all forms of global media, expanding empowerment initiatives for native women and girls, in the arts, media, social justice, civic engagement, economic empowerment, research, training and international relations. 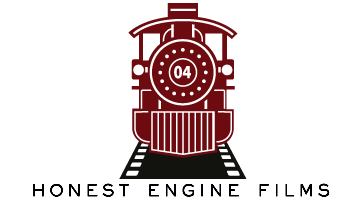 To empower American Indian & Indigenous Independent women filmmakers; to create diverse roles for American Indian & Indigenous women; to increase exposure for movies made by American Indian & Indigenous women, showcasing feature and short length narratives, documentaries, animation films, television movies, and music videos. To provide mentorship for girls on & off the reservations. Initiative develops leadership, gives girls the confidence and skills in community, film, media, and activism. Native Youth Matter – If I Can See It I Can Be It – Native youth initiatives. #WhyWeWearRED is an initiative that aims to bring national and global awareness to our Murdered and Missing Indigenous Women, in addition to fight sexual harassment, assault and inequality for women in all kinds of workplaces, and Lack of Inclusion in film and television. Native Women in FILM encourages supporters everywhere to wear RED and/or share #WhyWeWearRED as a show of unity and empowerment. 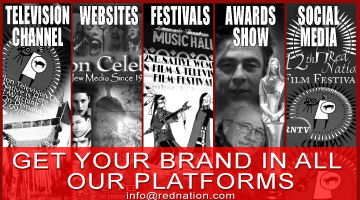 About Red Nation Celebration Institute, recognizes the original storytellers of this land. We know that women are the life-givers, visionaries, healers, nurturers, the 1st feminists. 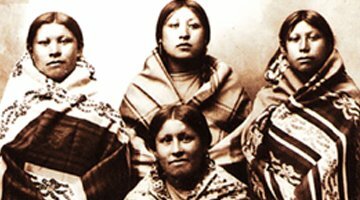 American Indian women carry the history of our culture. The year that Red Nation Film Festival was launched 2003, there was a study that women made up only 17% of all directors, executive producers, writers, cinematographers and editors working on top 250 domestic grossing films. 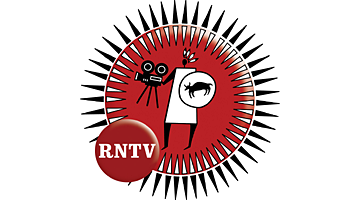 In order to inspire the next generation of film enthusiasts and, to encourage a genre of Native women filmmakers to create their own stories, Red Nation Celebration Institute launched Native Women in Film and Television (1996), to bring awareness and content to the film and music industry. Sustainability requires a bankable market. Founder Joanelle Romero, “one can not build on success with one film every ten years” said Joanelle Romero, we need to have one film, right after the other in order to create our market. Native Women in Film & Television continued commitment supports excellence in education, self-esteem, healthy lifestyles, community building, economic development, empowerment and inspirational opportunities for women and girls with its continued on-going programs in the arts, media, social justice, civic engagement, economic empowerment, research, training and international relations. To date there have only been 5 contemporary American Indian women stories ever produced in film history in the United States, where an American Indian woman carried the whole film; “A Girl Called Hatter Fox” C.B.S. 1977 – starring Joanelle Romero (this was the first contemporary American Indian Women story produced and the first time an American Indian woman carried a leading role ); “Lakota Woman” Ted Turner TNT 1994 starring Irene Bedard; “Naturally Native” in 1998 starring Valerie Redhorse; “Imprint” in 2007 starring Tonantzin Carmelo and the newly feature film “Cherokee Word for Water” 2014 starring Kimberly Guerrero . How we came about: we started out with Native Women in Music in 1996. The first “Native Women in Music” Concert Series was acknowledged by Mayor Debbie Jaramillo 1996 – City of Santa Fe Mayor Debbie Jaramillo Proclamation of “Native American Women’s Day in Santa Fe” – August 17, 1996. Two years after “Native Women in Music” was launched, Sarah McLaughlin of the world’s famous “Lilith Fair Tour” asked Romero (founder of MWIM) to join her all women tour in 1998. Romero (Founder of Native Women in Music) represented the American Indian voice and was the only American Indian recording artist to perform that year along with Sinead O’Connor, the Indigo Girls and Natalie Merchant; first all female tour. Native Women in FILM & Television launched in 2003 as a program of Red Nation Film Festival Native Cinema. In 2009, Native Women in FILM became its own film festival held during the week leading up to the Oscars. Today, its the only Native Women’s film festival in Los Angeles and the world. In 2017, Native Women in FILM and Red Nation Film Festival screened 22 films directed by women. City of Santa Fe New Mexico Mayor Debbie Jaramillo 1996 – Proclamation to Red Nation Celebration for “Native American Women’s Day in Santa Fe” – August 17, 1996.